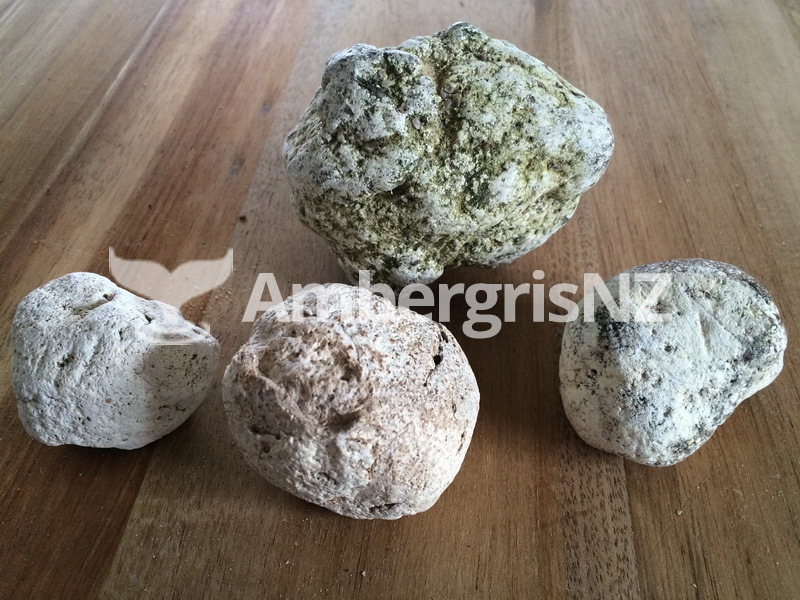 Ambergris is a valuable material used in the manufacture of perfume in many parts of the world. 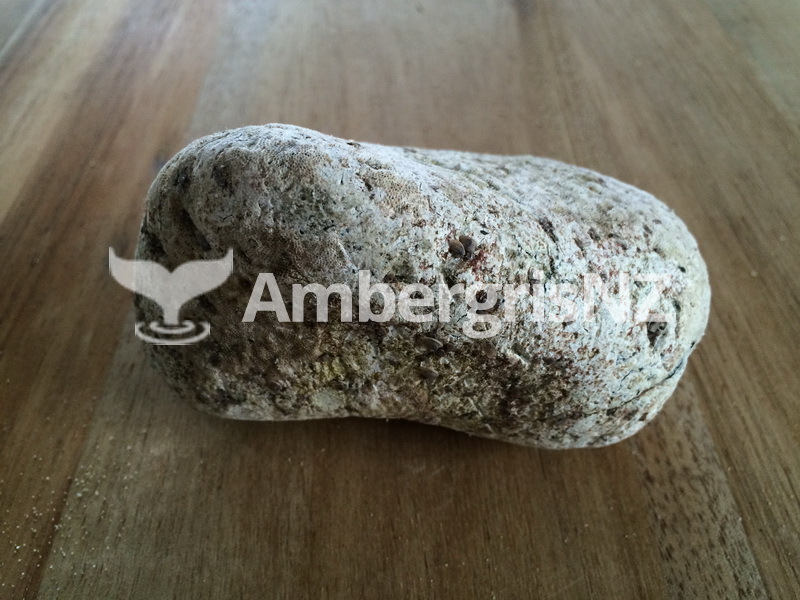 It is also used in the making of expensive cigars and has reputed aphrodisiac properties. 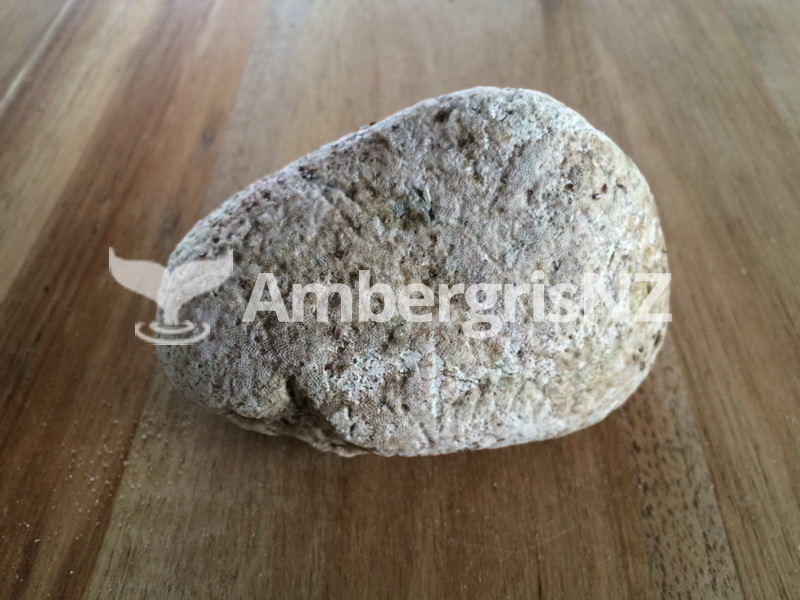 It has been known to be used since 1000 AD and in recent times used for Homeopathic medicines. 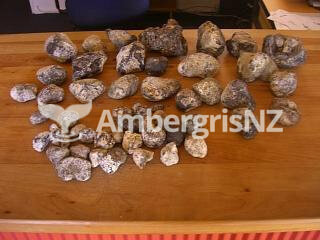 "Ambergris" is a valuable material used in the manufacture of perfume in many parts of the world. 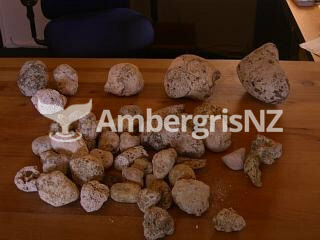 It is also used in the making of expensive cigars and has reputed aphrodisiac properties. 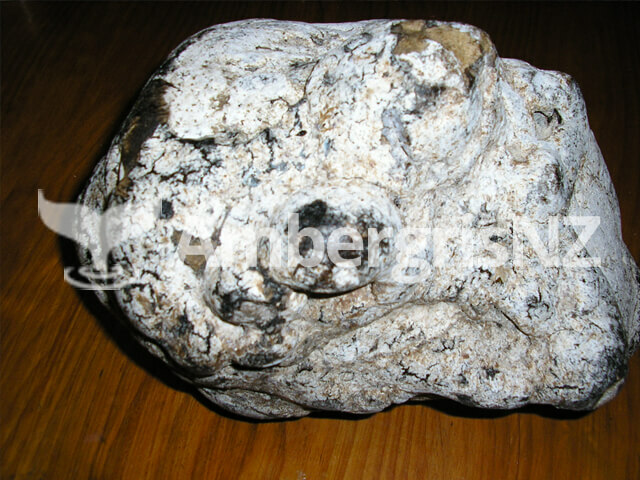 It has been known to be used since 1000 AD and in recent times used for Homeopathic medicines. 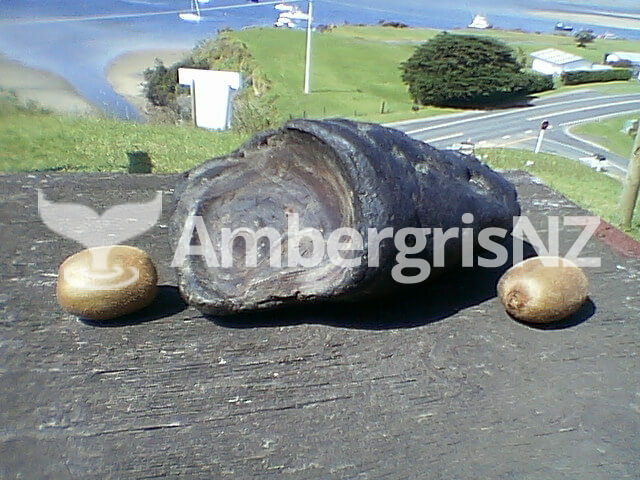 In early times when found on beaches throughout the world, it was thought to be a form of bitumen or possibly a marine fungus. 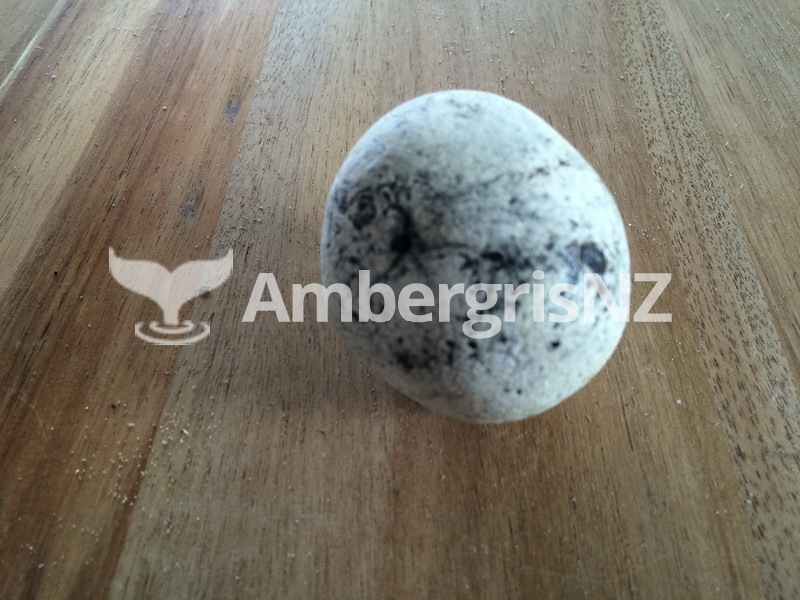 When whaling begun in the 18th Century it was discovered that Ambergris was found in one type of whale and that being the male Sperm Whale only. 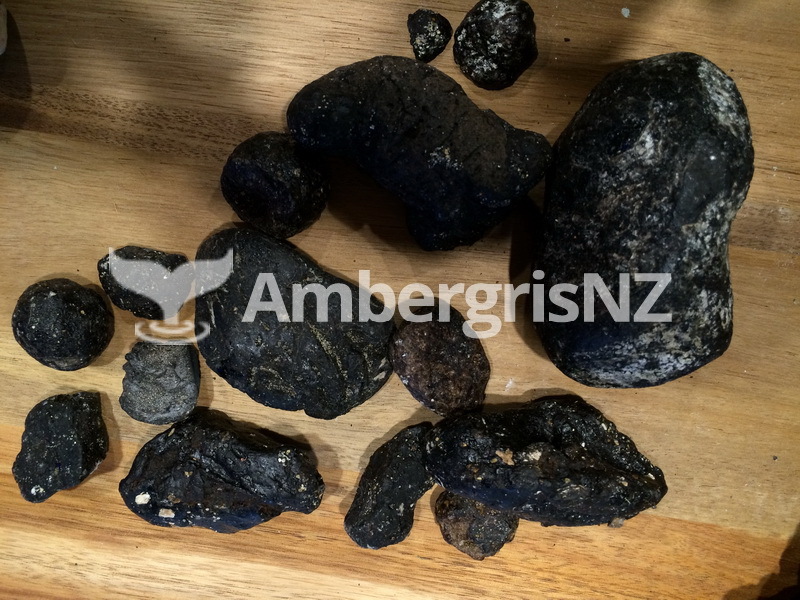 It appears that the male Sperm Whale feed on large quantities of squid and cuttlefish which is invariably embedded in Ambergris. 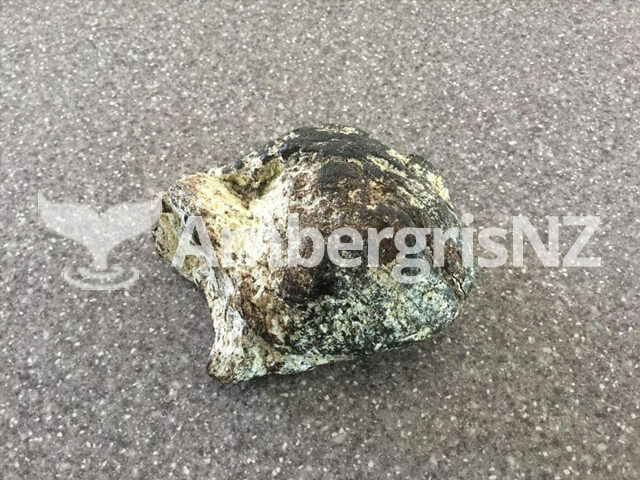 The indigestible beaks of the fish cause an irritation in the stomach and it is thought that this causes a pathological growth. 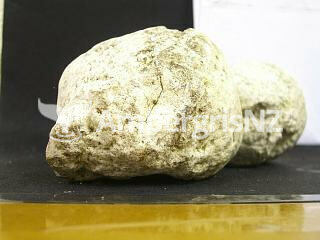 Some of the 'growths' are thought to be Ambergris, and the whale gets rid of it through the natural process of nature. 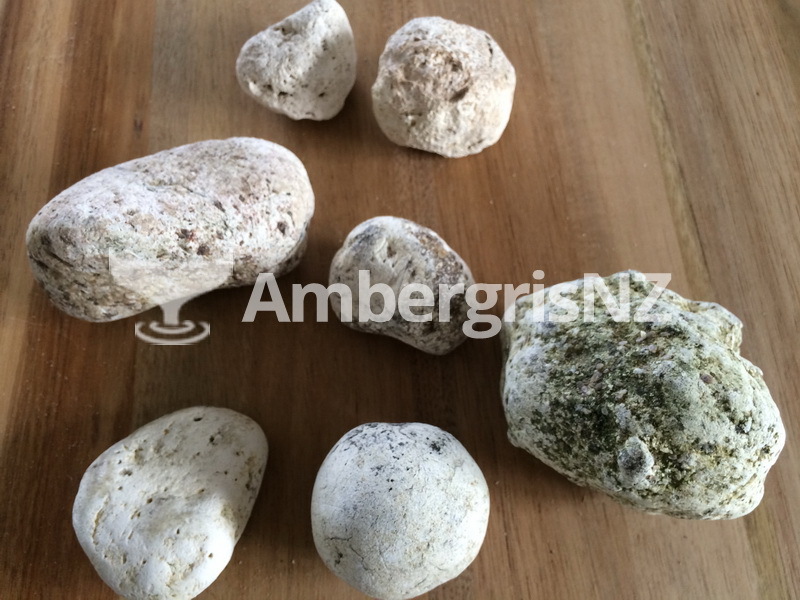 The finding of large lumps of Ambergris on the beach is relatively rare, but large numbers of small lumps are collected from the shores of most countries in the world, including New Zealand. 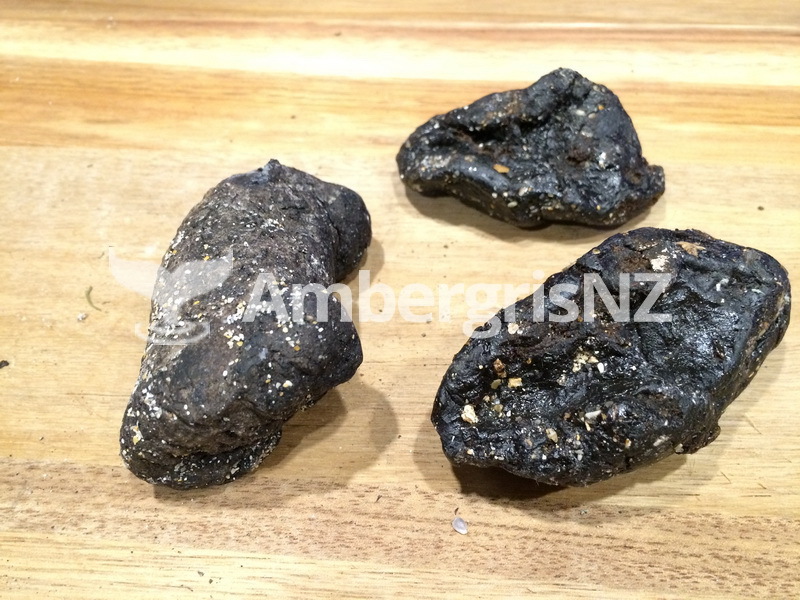 All sorts of debris such as gum, wax, tallow, sea kidney and other foul smelling objects are often mistaken for Ambergris. 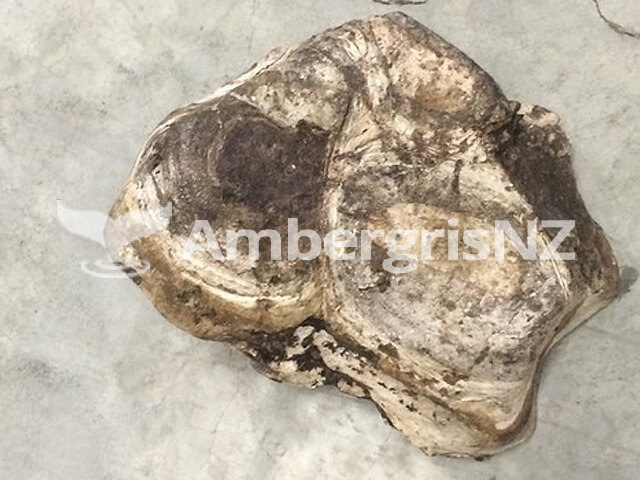 It is thought also, the quality of the Ambergris produced by a whale is dependent on the food available and the temperature of the water the whale is in at the time of the formation of the Ambergris. 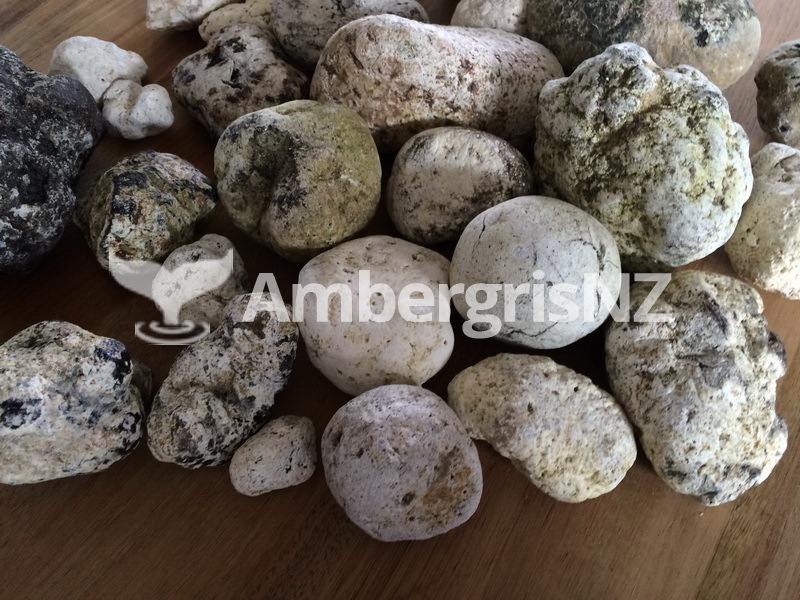 There are numerous grades of Ambergris: white being the best quality, followed by Grey, Brown and then various shades of black which is the least valuable. 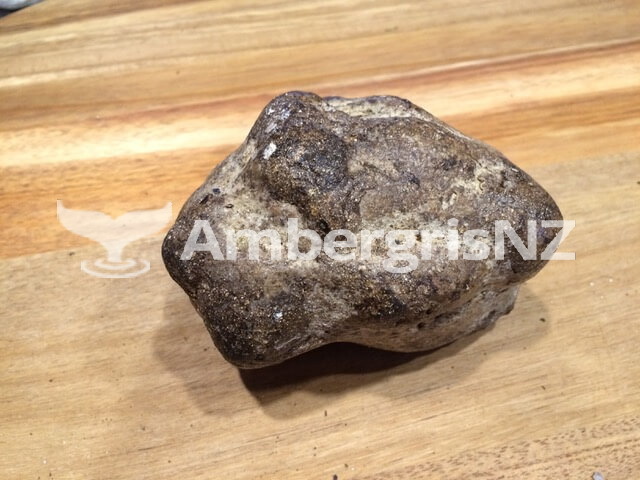 All Ambergris, when first found, is wet even though it looks dry, and can be expected to drop between 10% to 15% of its weight by the time it is completely dry. 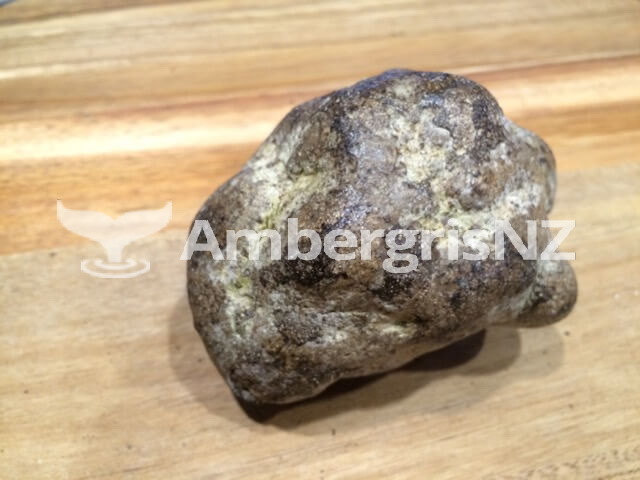 To find out if what you really have found is truly Ambergris, put a hot needle into it. If the needle goes in easily and comes out with a drip of molten on the point and should give off a pungent musky smell. 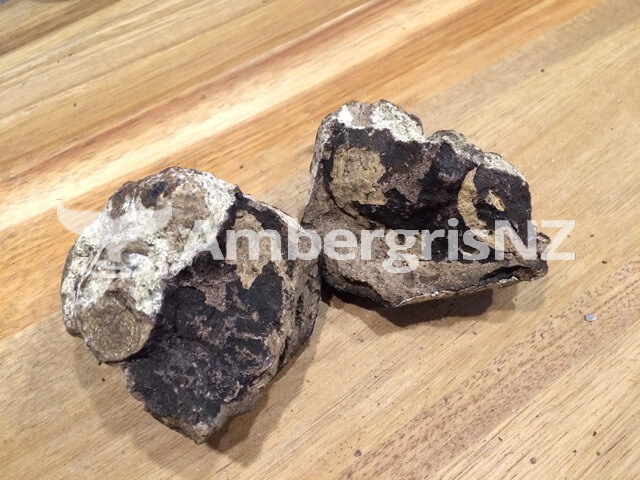 In appearance, Ambergris is a hard waxy substance not unlike pumice (pumice being gritty when digging your fingernail into it) but remember the colours described. 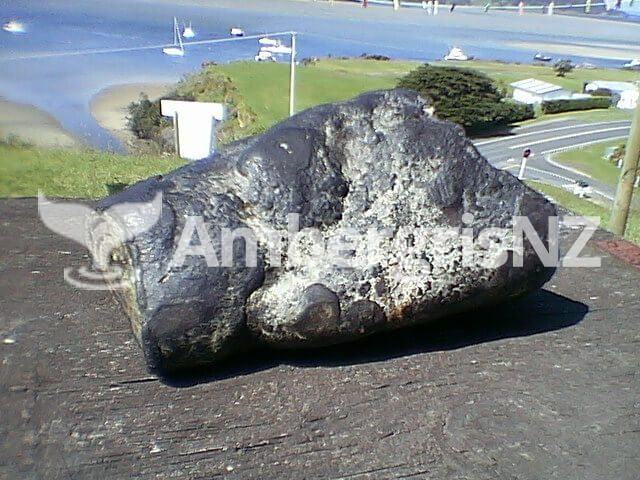 It has a musky somewhat pleasant smell and many people link the smell to fresh cow manure. 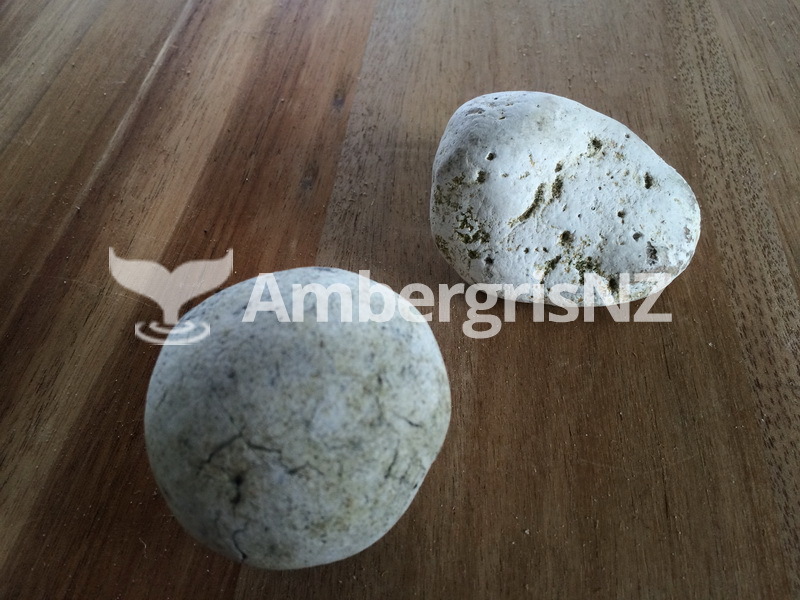 Ambergris is found mainly on the West Coast Beaches but has been known to be found on the East Coast Beaches of New Zealand. 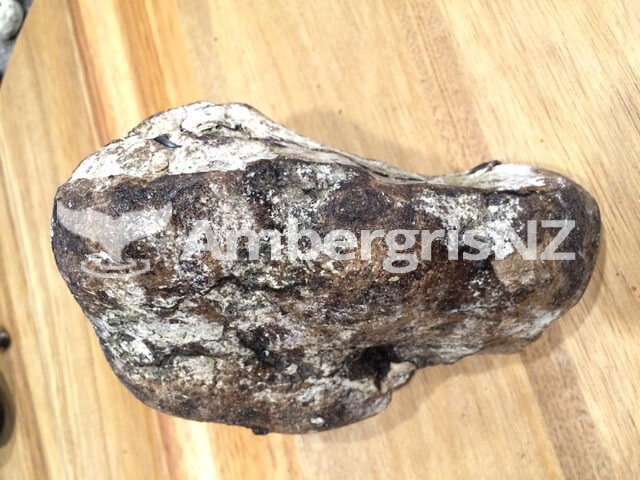 The value of Ambergris is conditional on supply and demand, but generally the white and cream can bring extremely good prices. 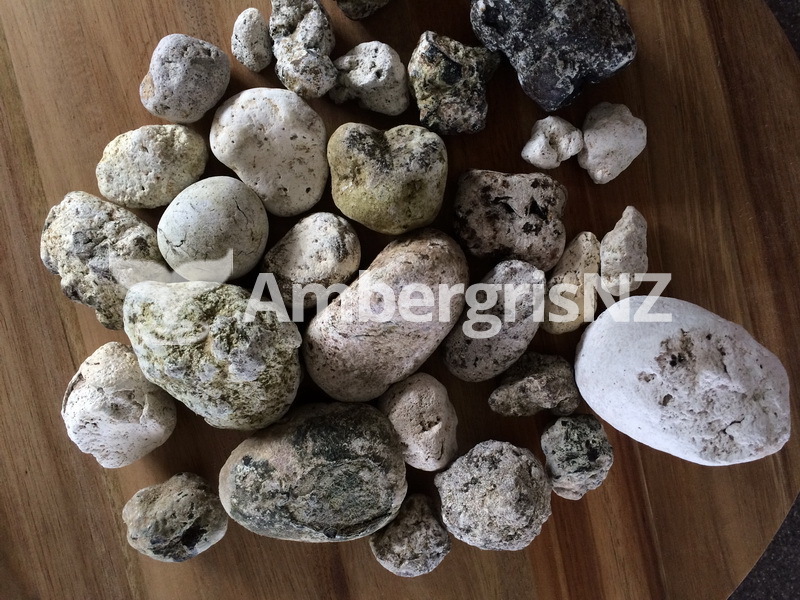 The other colours are of lesser value, but well worth collecting. 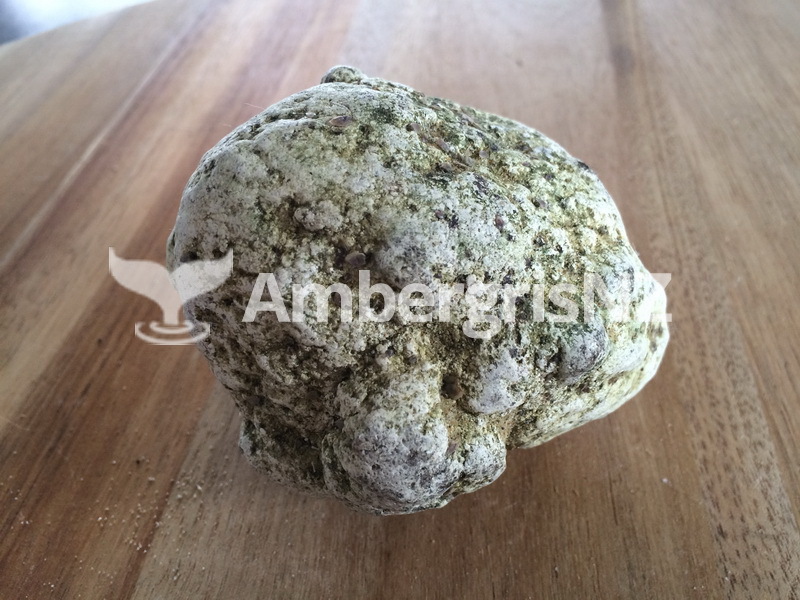 I hope that this description helps you in your hunt for Ambergris and assists you in knowing what it is. 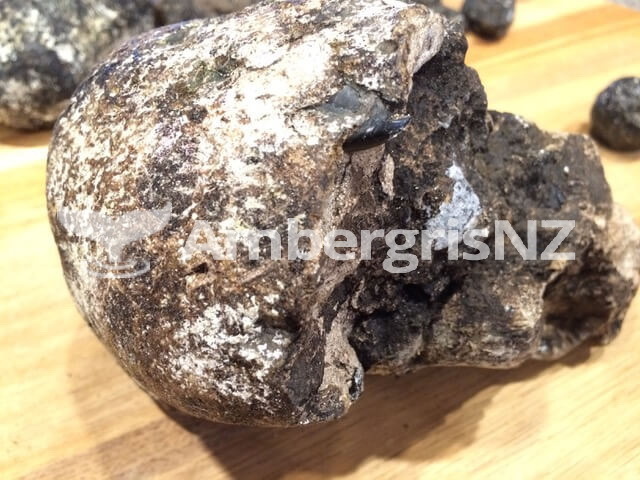 As to finding it, I can only advise you to keep hunting.